A dense, vigorous grower. Rich glossy leaves are bright bluish-green in colour. Snag-free foliage makes it ideal for walks and borders. 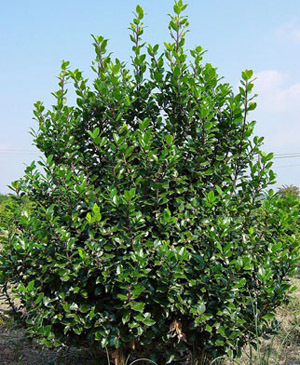 For female holly to bear fruit, a male plant should be planted nearby.